YouTube viewers can now enjoy offline version of YouTube app. It allows YouTube users to download and save content they want by giving them video quality and file size. Also allows local sharing i.e sharing to nearby users without using any data. 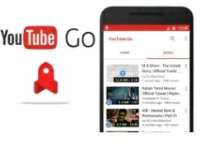 YouTube launched an offline version of its app officially know as YouTube Go to it's viewers in developing countries across the globe where network coverage/internet connectivity is still a challenge especially in African countries. The app has two unique features stated above. From a blog post from YouTube official website, it's stated that YouTube Go was created to be relatable with fresh and relevant video recommendations tailored to viewers preferences. The app is designed to be offline first and improve the experience of streaming videos on slower network. It gives you more control over data usage by providing choice and transparency in the amount of data spent on streaming or saving videos. YouTube Go is intended for developing countries where majority of devices are on Android operating system. The app is only available on Android operating system and will not support other Os. Now available across Kenya, Ghana, South Africa, Tanzania and Zimbabwe. Will be available in Senegal and Uganda in coming week.